Sander Muilerman serves as the West Africa Program Manager for the World Cocoa Foundation’s Climate Smart Cocoa Program and the Cocoa & Forests Initiative, with the aim to increase private sector engagement and investments in climate-smart strategies for more socio-economic and environmental sustainability in the cocoa sector. 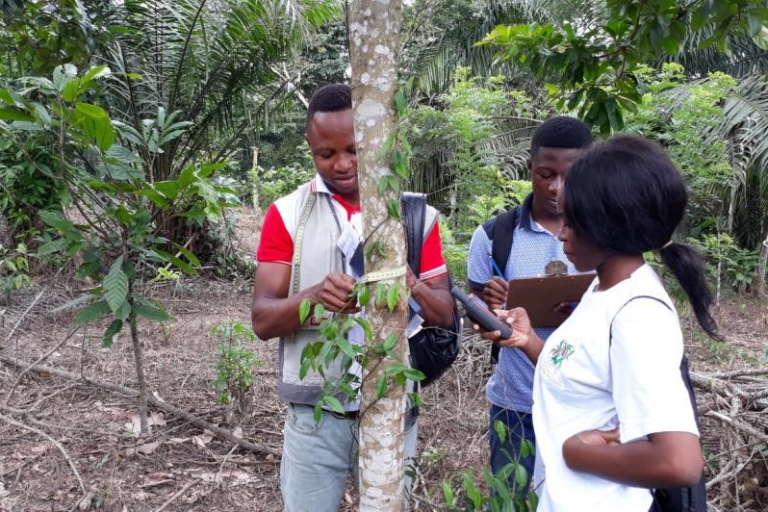 Under the Environmental pillar of WCF’s programs, he also performs regional coordination of the Cocoa & Forests Initiative to support the country teams in both Côte d’Ivoire and Ghana. As a rural development and agricultural innovations expert, he has over ten years of field experience in the Sub-Saharan tropical forest zone. Sander currently lives in Ghana with his wife and two children. 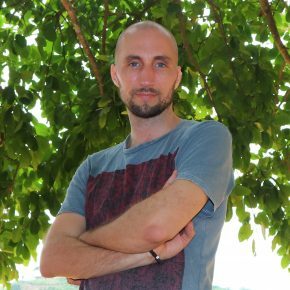 Previously, Sander performed international social science research and climate change project coordination in cocoa-based farming systems for the International Institute of Tropical Agriculture (IITA), of the CGIAR. Until 2010, he worked for the Belgian NGO Broederlijk Delen as a management coach for the local NGO ‘Alternative Durables pour le Developpement’ in Cameroon, and until 2008 as a press and communications coordinator for European cultural institute ‘deBuren.eu’ in Brussels. Earlier positions were held with the international tour operator TUI, at a ministerial development research council in The Hague, and with Dutch ICT provider Royal KPN. During his studies he volunteered with a gorilla conservation project in Congo Brazzaville, worked at the Dutch import promotion council CBI, and performed an in-depth study of local natural resource management practices in rural Senegal. Sander has a Doctorandus degree (BA+MA) in Rural Sociology and Cultural Anthropology from Leiden University and an additional Bachelor’s in Marketing and Management. He soon hopes to defend his PhD thesis on scaling agricultural service delivery to smallholder farmers in Africa, with Wageningen University in the Netherlands. Sander is a Dutch national and speaks Dutch, English, French, German and basic Portuguese.